Well, it all started as soon as I was born. I was not born bald, I had hair, right from birth!!! When I was a little kid my mom, dad preffered my hair to be maintained cropped short, thanks to the very humid climate in my part of the world! In fact I too liked it a lot when I see pics of myself now. Then came the dreaded time and soon after that was an end of the humidity part of hair problem. Yes, I'm talking about the customary hair tonsuring at about 1.5 yrs. The baldness made yellow with a covering of turmeric & sandalwood paste. Yes, I cried a lot when the shaving was happening. So would every other child. But now, when I see it, I am amazed. 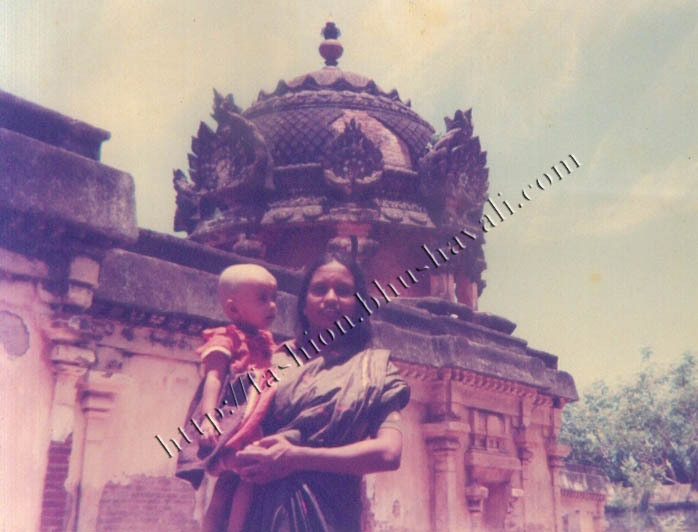 I love the shot of myself and my mom at the Vaitheeswaran temple, ofcourse with my yellow head! I loved that pic so much that I took it as an inspiration in college days when I had to do something that depicted myself! 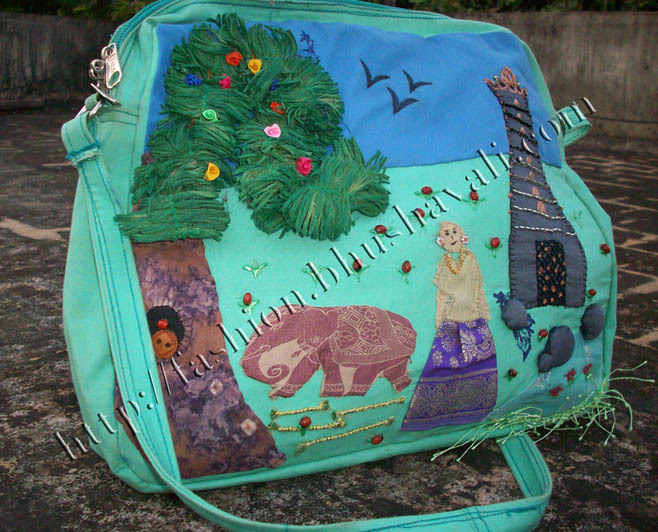 This is the bag I made - Temple in the background, a tree, birds in the hollow of the tree, blue skies, crows flying atop, temple's elephant, temple pond surrounded with rocks, and ofcourse the tonsured Meeeeeeeeee..... complete with the traditional Pavada Chattai outfit and gold jewelry!!! This was soon after the tonsuring. These pics were all taken with the traditional film camera. I wanted pics of myself to be taken in every other location with every possible pose! 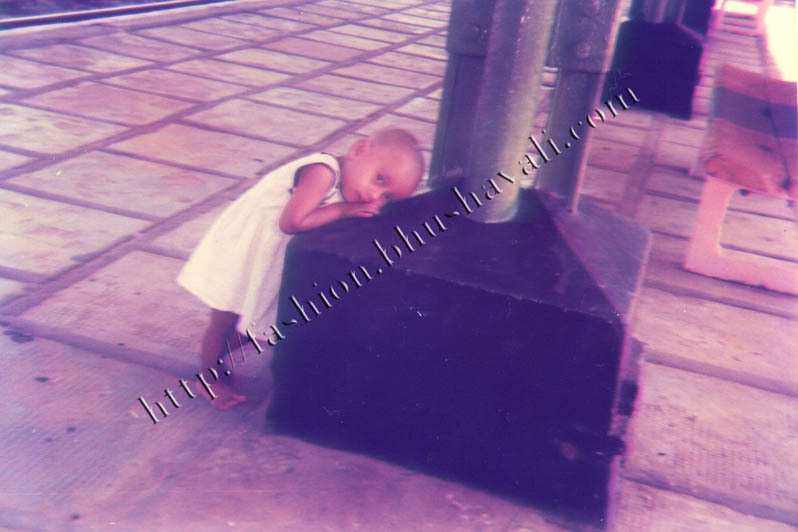 This was at the Vaitheeswaran Koil railway station!!! After that, after my hair started to grow, it was still a boy crop! 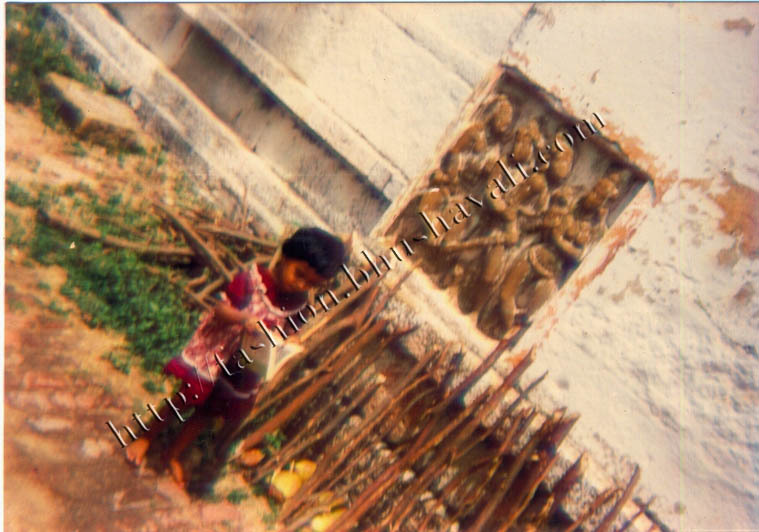 This one was when I was 3 yrs old during the temple tour at Kanchipuram. Then slowly, as I grew, my hair too grew, for a girly me... 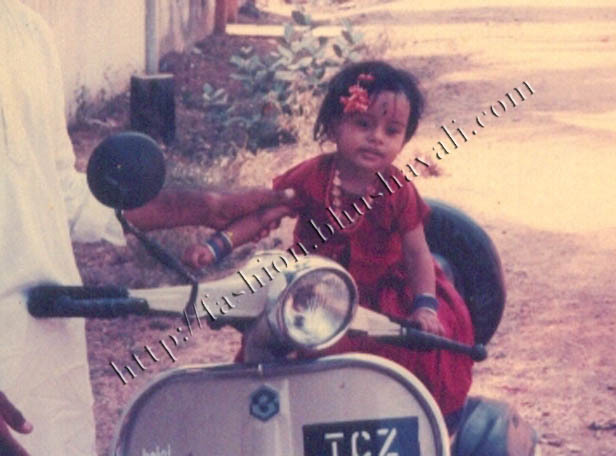 This is myself on my uncle's Bajaj Cub Electric Scooter, a bit grown hair, complete with a little strand of flowers too! Then on my hair was in its growing trend and was pretty much well maintained, thanks to the relatively lesser pollution, maintenance, oiling and plaiting by mom, complete lack of pressure or tension. 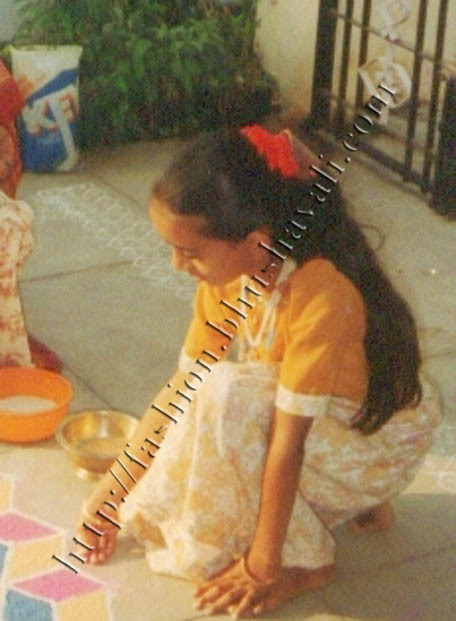 This was when I was in some 5th or 6th std, at my granny's place trying out my hand on drawing Kolam - Longggg hair! Then as I reached my high school came the mega dread in the form of - errrrrr... Lice! God knows where I caught it!!! I tried every other option to sort things out but at vain. Finally I took the mega decision - chopping off my hair as boy crop. And guess where, I got it done - No, not at the parlour - at a barber's saloon! When it comes to a typical boy crop, its always better to go to the barber. It costs much higher at parlour and they don't understand a typical boy crop, and try to keep it girly. Yes, the local barber did get scared when I stepped into his saloon and said I want a crop. But I gave him confidence saying that its ok to experiment or go wrong on my hair! And he did a pretty good job! And that was the end of lice problem! 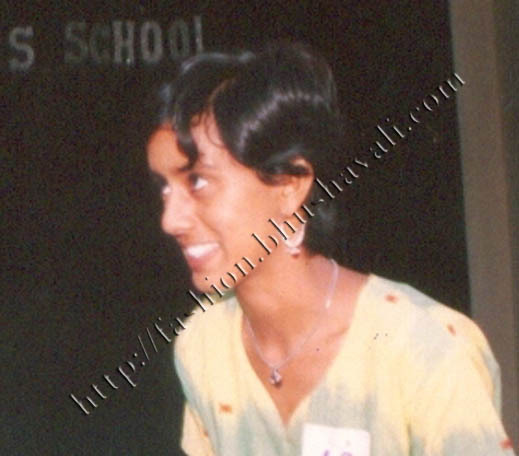 And I got nicknamed Diana & Indira Gandhi (when I wore a starched cotton saree to high school farewell)!!! Then again college and job I grew my hair long and along with it came many more issues! Issue no. 1: Pollution was much higher now! Issue no. 2: I travelled long, by bus, train, auto and the sun, humidity and dust showed all it power on my crowning glory! Issue no. 3: Tension & pressure were on!!! Issue no. 4: Hair maintenance came from mom's hands to my hands now, or rather the lack of it. Issue no. 5: Higher salt content in bathing water. Issue no. 6: Once I started biking, my hair was always a pony out of my helmet and got exposed to sun, dust, pollution and that caused split ends and dryness of hair at tips and humidity got my scalp damp! Well with all these issues came heck a lot of trials to sort out these issues. 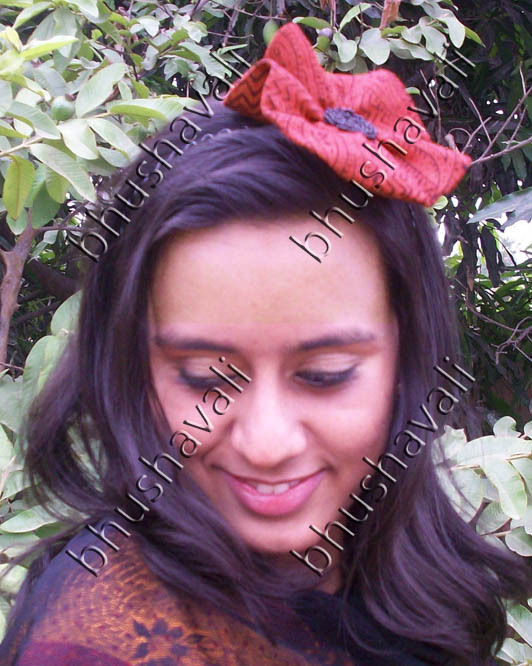 One was to cover up my hair with scarf the moment I step out of my house. Another was to try to bring down my tension, which hardly happened! Another was to wash my hair thrice a week, rather than my twice a week. Another was to be regular in oiling my hair, which I had stopped the moment my hair came under my maintenance from my mom's. S0me friends told me to wash my hair with packaged drinking water to escape from hard water. I tried that as well. But then after some time, guilt set in that I'm using 'drinking' water for bathing! So I stopped that. I couldn't do anything at all about my tips getting damaged, creating split ends, by biking!!! Then came my solution. I chopped off my hair again! Back to the barber and back to the boy crop. This way, my whole hair went into my helmet and the texture was hair was same throughout - no dry tips & damp scalp. This brought split ends to an end! Oiling got regular. Nothing could change my hard water though. Bus, train travels saw my very short hair covered duly with scarf. I tried and settled with a shampoo, conditioner, masque regularity. Short hair, so no tangles and no breaking due to that. And that was the end of my hair problems!!! Finally, short hair and no problems!!!!! 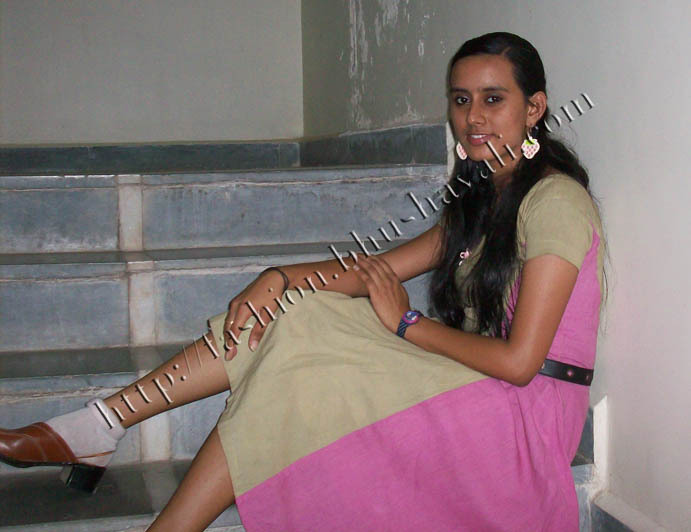 P.S: Entry for contest by Dove at Indiblogger. 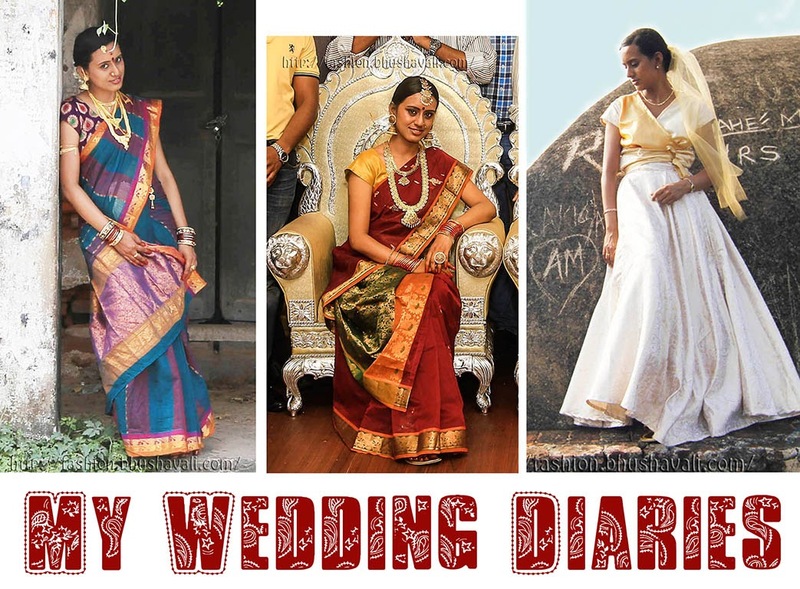 Indibloggers show some love and 'heart' this entry at Indiblogger. Love the Hair tales!!! So cool to see in different tress lengths... Though, with your pixie face, any length would go well. So lucky! Somehow I just don't see myself experimenting with cut styles. The Diana cut suits you the best. very nice.. well written.. all the best for the contest.. I love your short hair.. You look dashing in that style. I gave it a shot too! Do let me know what you think! :D cheerios! So glad you likes it. 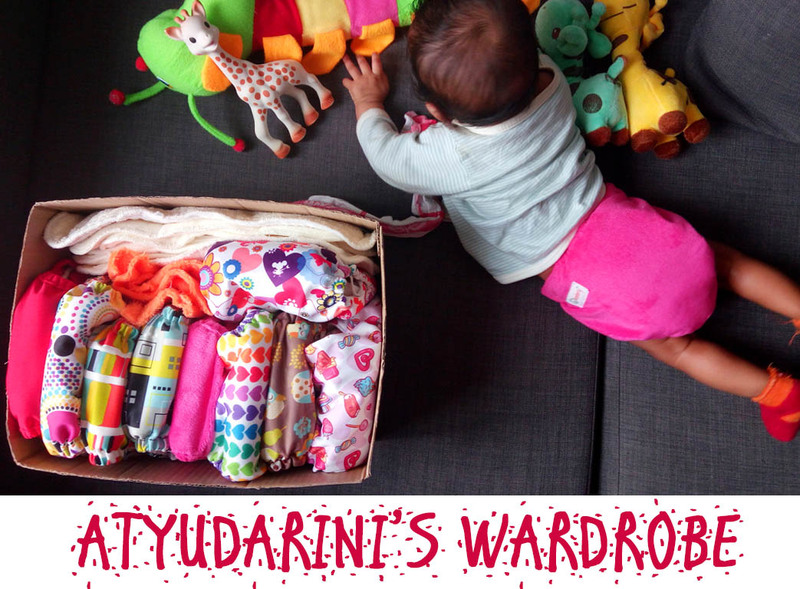 Do drop by often. 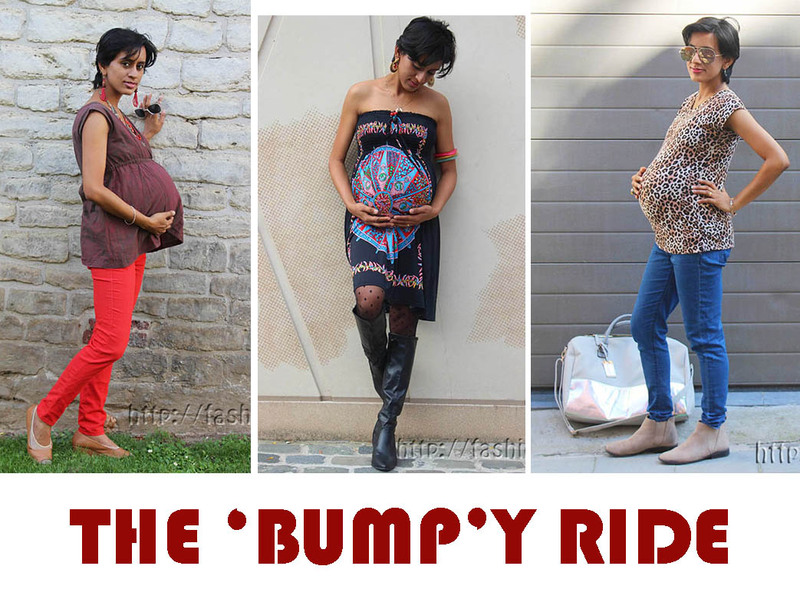 I'd love your visits & comments!